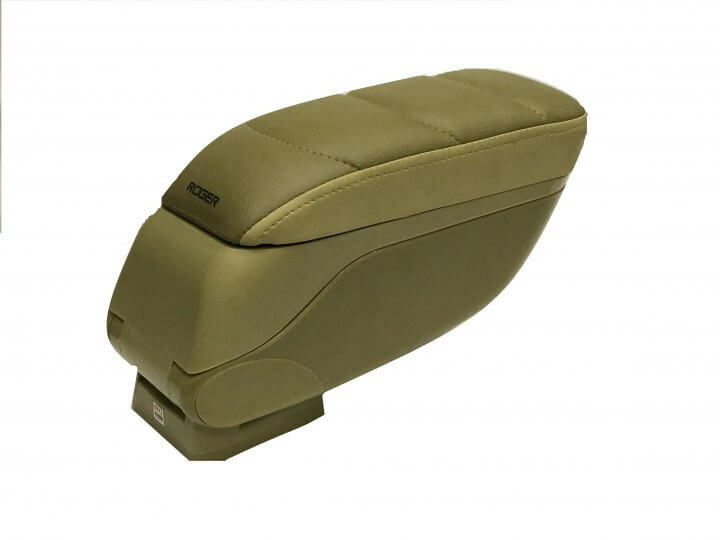 CUSHARM armrest is a very comfortable accessory regardless of the car model you have. CUSHARM is extremely easy to install by following the instructions included and should not take more than 20 minutes! 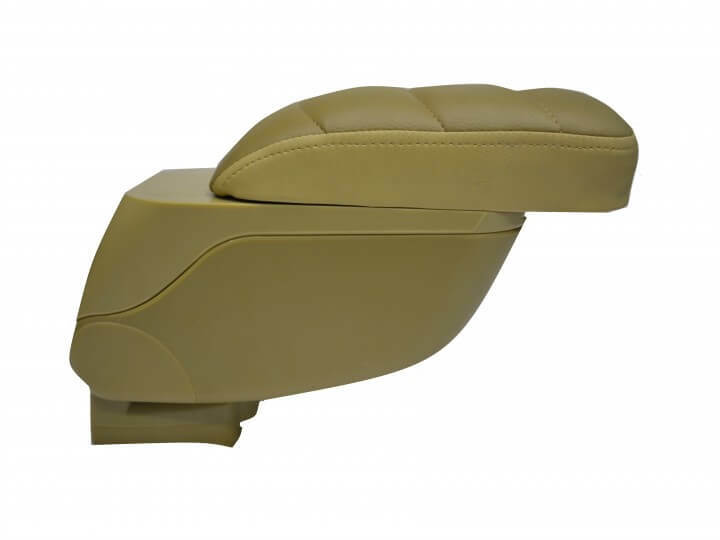 CUSHARM armrest is the best Buy Car Armrests Online in India. 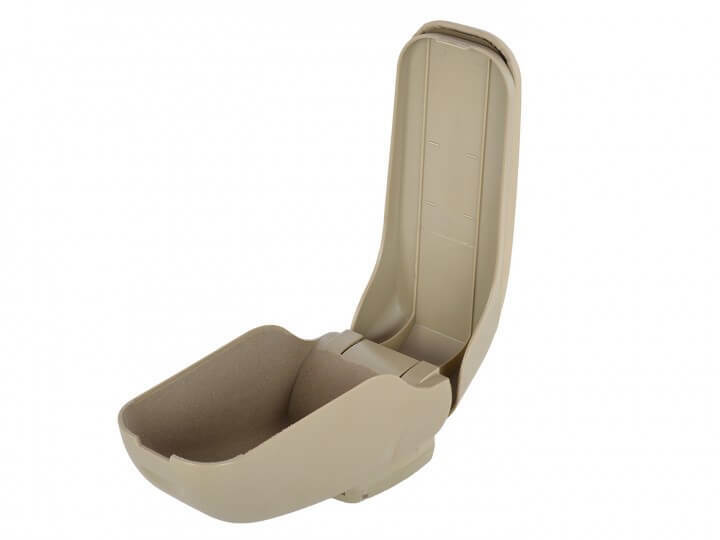 Get the best armrest for car seat online from Roger Motors. Do you wish to give more rest and comfort to your Left Arm while driving? Generally, while driving a car left arm gets much tired, because in left side you don’t have any support which gives rest to left arm. In this case Cusharm (Arm Rest) in a car proved an ideal and much needed accessory. How often have you lost something in your car, and then spent lots of your valuable time trying to find it? This is a general problem in all small and even in big cars, to keep small and handy things like wallet, mobile or other miscellaneous things. 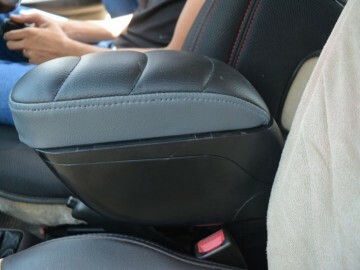 Roger Techssories has found a solution to these problems; fitting a CUSHARM armrest in your car. You are thinking how will resting arm prevent from losing money down the side of the seat? The answer is easy; the CUSHARM (Arm Rest) will not only allow you to rest your arm whilst driving but it also features a storage space. Just lift up the top of the CUSHARM armrest and underneath is a small storage compartment, ideal for keeping all those small items like wallet & mobile phone that would normally cause such a problem when they slip down the side of the seat. Arm Rest: It gives rest to your arm while driving a car. It helps in frequent gear changing and gives support, so that the arm does not pain during long journey. Eco-soft Anti Perspirant Leather: Even during the long journey due to the anti perspirant leather and eco-soft material your arm won’t get sweaty and effect of cushion remains for a longer period of time. Adjustable for More Comfort: According to the level of your arm, you can slide and adjust the Arm Rest of CUSHARM. If you don’t want to use it, then you can unfold it also. Easy to Fit: It can be mounted very easily, without making any alteration in your car’s console. Extra Soft Cushion: It has a 20 mm extra soft cushion, which gives soft comfort to your arm. The CUSHARM Arm Rest console is mounted directly onto the seat frame. Broad and wide enough for offering the driver and passanger a comfortable support for their arms! Offering optimal ergonomics at all times, as it always follows the driver, no matter how close he/she sits to the steering wheel, and how high/low they want to adjust the seat! Roger CUSHARM armrest is a simple Arm Rest device, offering extra storage console underneath for miscellaneous storage. A CUSHARM armrest can enhance occupant comfort. This sliding Arm Rest device is very useful for the driver’s left arm. 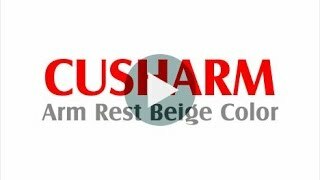 CUSHARM armrest is a best aftermarket product for those cars, not having this comfort device provided by the car companies. Thus, just don’t close this computer or mobile window after reading it. Order this useful comfort product. By using such ultimate comfort product driving and travelling pleasure & confidence will increase several folds. Drive Long and Drive Bindaas!! I have been using Roger car products for quite some time and am happy to endorse their usefulness. My Nano car was fitted with Rogerab in June 2016. Then I purchased Roger back rest and tyre airpressure unit and engine oil additive. I am happy with all the above products. Recently on 24-10-18 my car Indica Vista was fitted with Rogerab Duo.This product has been improved with latest technology by your company.With the latest advancement in technology I would like to get rogerab replaced by rogerab duo in my nano car. I have been a regular user of your car duster which is a excellent product. Recently I bought a armrest and equally happy.Good work. Keep it up. I had ordered a Car arm rest and a car tissue holder of my new Ertiga, the service offered was wonderful and the product too looks in great condition.Hoping for more good quality products in future. I had a complaint about stand in armrest. Which i have bought from rogers ( shree datt hotel manor). I visited same branch today for this problem.Bhavesh told me to have some snacks.Even before finishing finishing our snacks bhavesh solved it. Im really happy with his service.He need to get appericiation. He is really kind and trustworthy. Because of its problem again and again i had lost my temper on him but he just smiled and told me that dont worry sir ill solve this. But i am not satisfied with the durability of rogers armrest.I asked him to send this feedback. But i am really impressed with Bhavesh's service. Hi, I had visited your showroom at Foodhub on the Mumbai ahmedab highway, I got to see really innovative products,i have also bought car tyre mate and arm rest at ur showroom really amazing service by rehmat & yash bhai excellent service highly recommended! I would like to give you a feedback for products which i have purchased before 3 to 4 months back.It's the best time to give honest review after using it properly around 3 to 4 months.I and my colleagues had bought following products from your shop.1. duster- 5 2. Arm rest – 1 3. Neck Pillow – 1 All are supream quality products and we are very much satishfied.We are using duster in routing and it clean my car in just 5 mins, have a great experience.Regarding neck pillow and arm rest both are super cool locking and comfortable.I would like to thank Mr. HARDIK SHAH (9227552259) for convincing me and my colleagues to purchase roger product and it's a perfect choice for me.Thanks for a wonderful product and best of luck for your bright future. I visited Roger (on Ahmadabad-Rajkot highway) on 11/6/16 and purchased armrest for my car, this was my second visit. I am fully satisfied with your products and approach of your staff. Your products are genuine & durable. I am given membership card which will be used whenever needed to purchase anything. Thanks a lot & wishing well success. I purchased Arm rest for my swift car. It is a multipurpose innovative product from Roger. Easy to fit. Keep good work going. I had visited today u r show room genuinely I was suppose to get an arm rest which could be fitted on driver seat as many of retailers of accessories suggested u r show room for an unique product. I was disappointed as it was not available and satisfied my self with another product. 7 + 4 = ? Q. Which color options are available? Yes Roger Cusharm is available in Black as well as Beige. Q. For warranty claim where should I contact ? Q. Can I get a demo of the product? Yes, we offer you 21 days buy back guarantee. Use our product for 21 days and feel free to return it within 21 days in exchange for a FULL REFUND. Once you have purchased our product, you will receive an email from us with details about the nearest fitting partner for you. ROGER MOTORS a National Award Winning Company founded by a car enthusiast, racer & a scholar Automobile Engineer way back in 1992 in the city of Rajkot. Copyright © 2018 Roger Motors Pvt. Ltd. All Rights Reserved.